For over 70 years, UNICEF has been putting children first, working to protect their rights and provide the assistance and services they need to survive and thrive all over the world. For families that have already lost almost everything, bad weather can be catastrophic. Thousands of Syrian refugees living in more than 570 informal tented settlements across Lebanon were hit particularly hard in early January when a major storm system hit, bringing torrential rain, strong winds, snow and bitter cold temperatures. Tents were flooded, food stocks and furnishings destroyed. 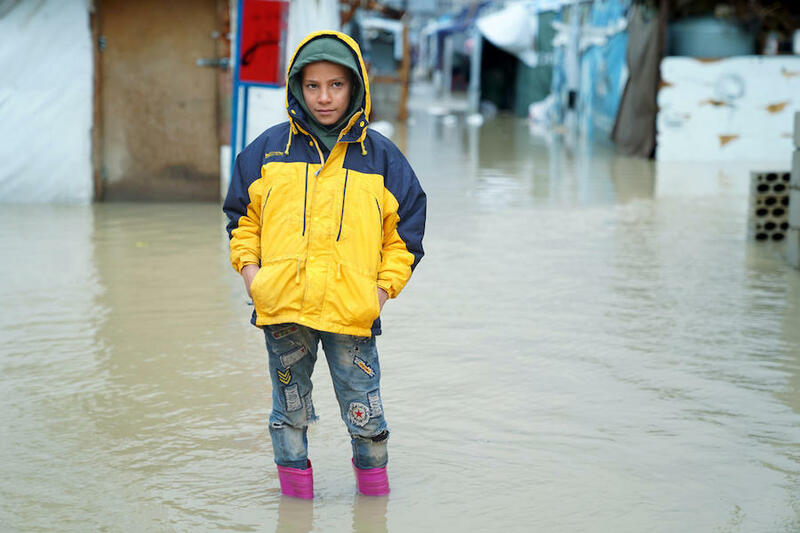 Working with Lebanese authorities, UNICEF and other humanitarian agencies responded immediately, pumping water out of inundated sites and distributing winter clothes to children, blankets, mattresses, hygiene kits and other supplies. "If the pajamas are not the right size, I'll exchange them with my neighbor," said 11-year-old Taslim. "In winter, it is pouring and very cold," said Islam, 8. "It is very difficult for people to stay warm." "Children's suffering in affected areas have increased," said Violet Speek-Warnery, UNICEF Deputy Representative to Lebanon. "In the past 10 days, UNICEF was able to reach more than 6,000 refugee children in urgent need of assistance. Our teams are working with partners around the clock to reach children with much-needed support, and to keep them warm." No child should face debilitating cold without help. 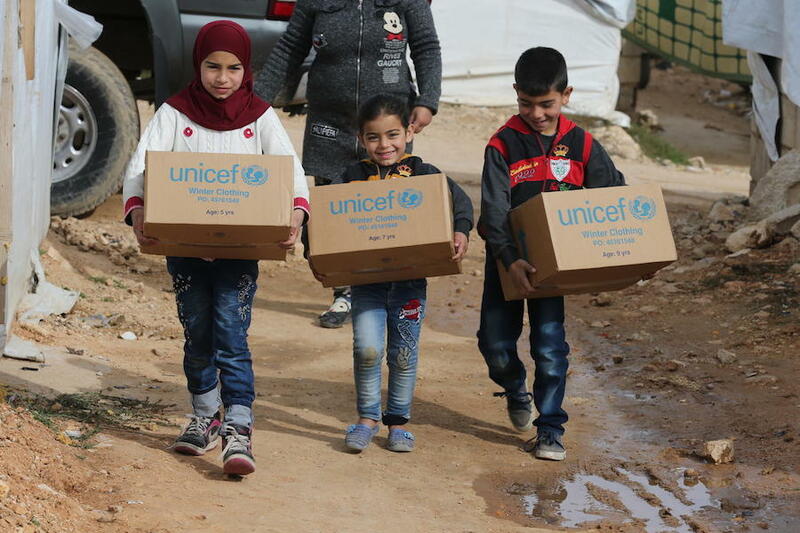 This winter, UNICEF aims to reach 1.3 million children in Syria, Iraq, Jordan, Lebanon, the State of Palestine, Turkey and Egypt with winter kits, safe drinking water, sanitation, health and hygiene support, and cash assistance to help families cover the cost of heating fuel and other necessities. You can help some of the world's most vulnerable children stay warm this winter. UNICEF and partners are working tirelessly in Lebanon, Syria, Yemen, South Sudan, Bangladesh and around the world to save and protect children. With a presence in more than 190 countries and territories, UNICEF has helped save more children's lives than any other humanitarian organization in the world.